OUT TODAY! Don Braden Releases “Earth Wind and Wonder” on Creative Perspective Music! 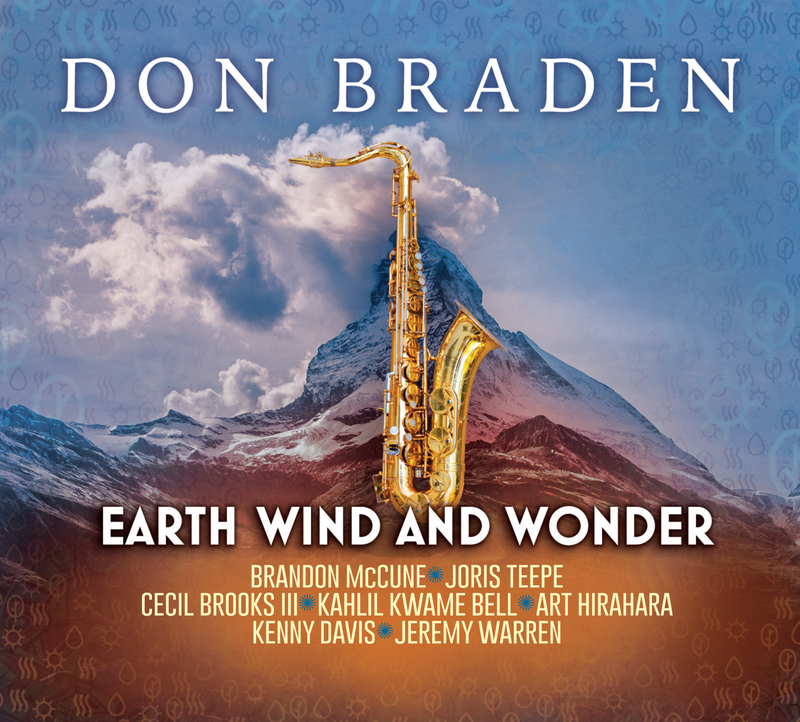 Creative Perspective Music is proud to release Earth Wind and Wonder, the highly anticipated new project from saxophonist Don Braden. On this exciting new project, the world-renowned saxophonist explores the wide-ranging catalogue of Earth Wind and Fire and Stevie Wonder. Braden is joined by two stellar rhythm sections that include pianists Brandon McCune and Art Hirahara, bassists Joris Teepe and Kenny Davis, drummers Cecil Brooks III and Jeremy Warren and percussionist Kahlil Kwame Bell.